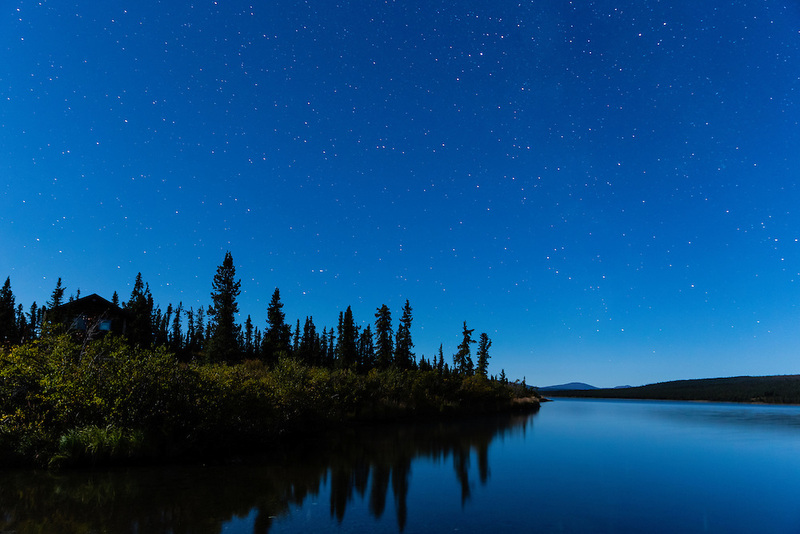 Night skies above cabin under moonlight at Paxson Lake in Southcentral Alaska. Autumn. Morning.